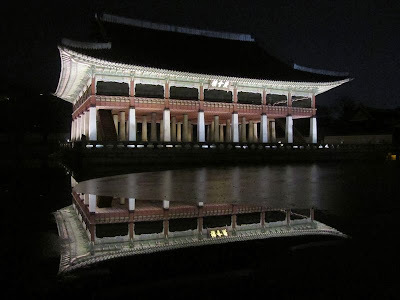 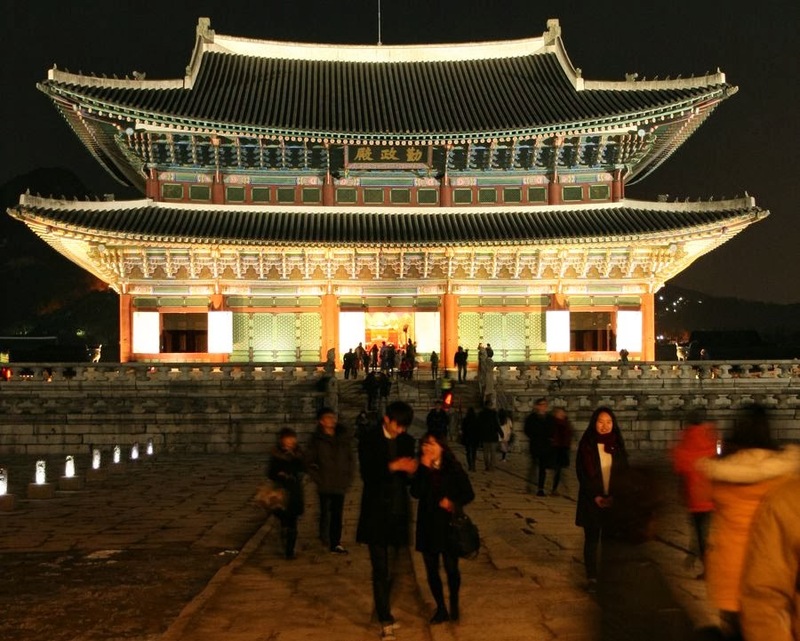 Last week Gyeongbokgung Palace was open in the evening until 9pm; unfortunately, tickets for these visits sell out on the first day and only occur a few times a year. 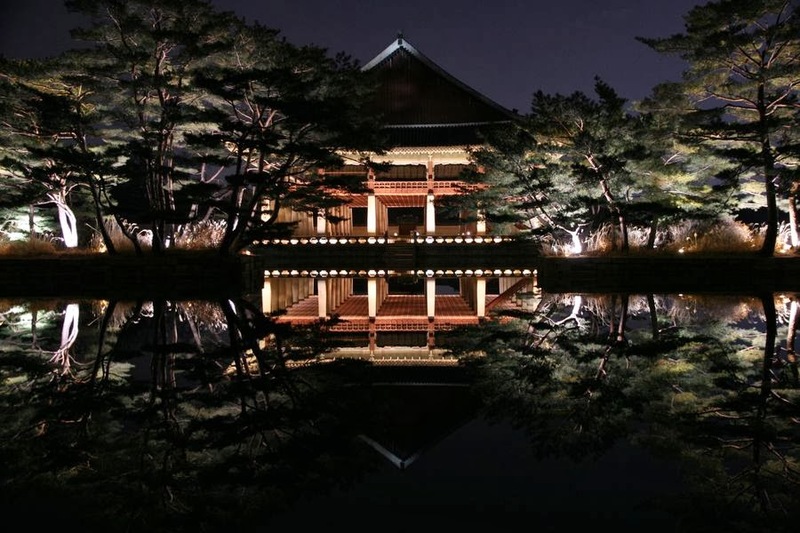 While in most places the crowds can make getting good photos difficult, the pond around Gyeonghoeru Pavilion not only provides a nice reflection (when it's not obscured by ice), it also keeps the crowds out of the photos. 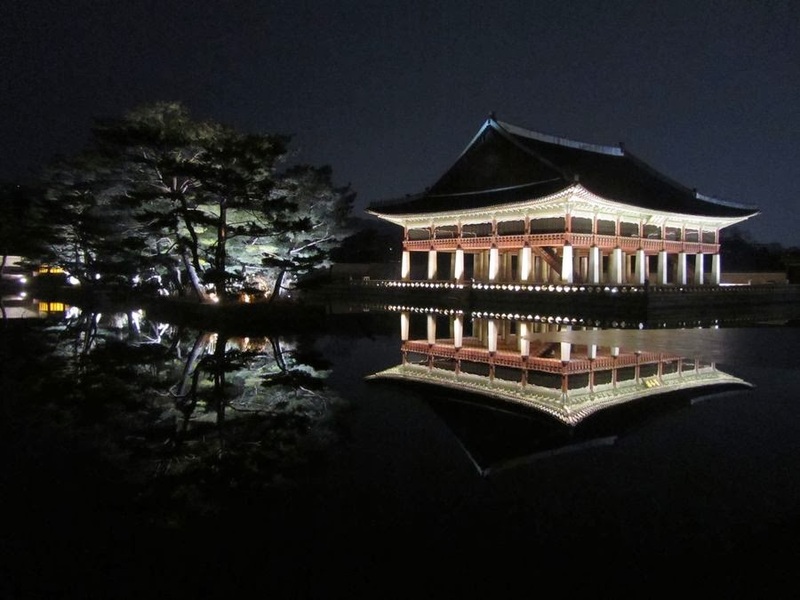 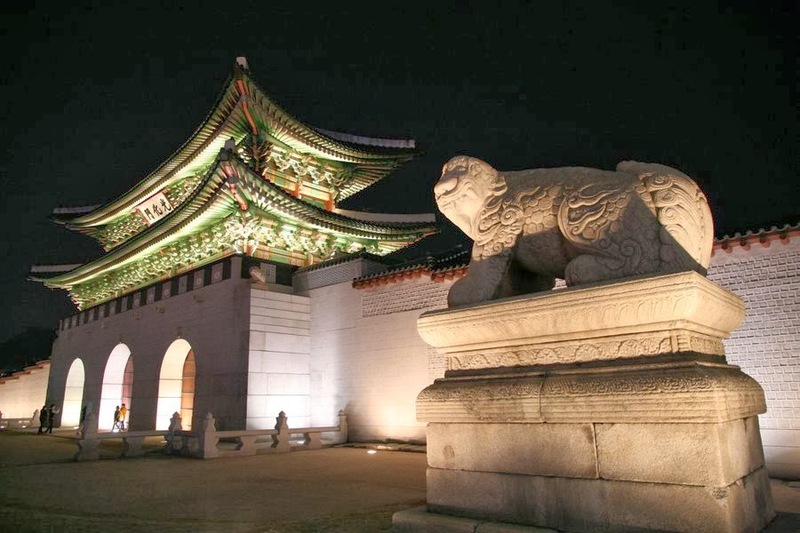 As you might be able to tell, it's well worth the visit for the sight of Gyeonghoeru Pavilion alone.